A world leading lifestyle and athletic brand, Adidas innovative approach on product design is aimed towards individuals inspired by sports and striving to achieve their personal best. 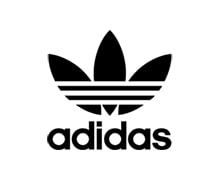 In addition to performance gear, Adidas Originals offers a wide range of iconic shoes and sneakers for men, women, and kids – updated each season in a variety of colours and materials. Shop Union Jack Boots for the latest selection of Adidas footwear to bring you from the courts to the streets.